It's been a long time coming with this one, but the timing is perfect now, as Spring gets ready to ... spring. The lace sleeves lighten things up and allow for a hint of skin (or contrasting shirt layered underneath), while the princess-seam style waist shaping flatters your figure. 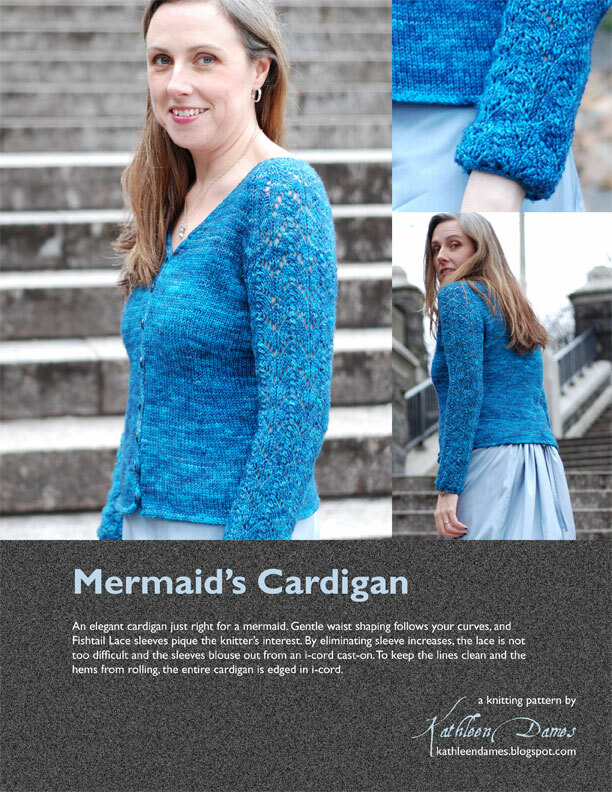 An elegant cardigan just right for a mermaid. Gentle waist shaping follows your curves, and Fishtail Lace sleeves pique the knitter’s interest. By eliminating sleeve increases, the lace is not too difficult and the sleeves blouse out from an i-cord cast-on. To keep the lines clean and the hems from rolling, the entire cardigan is edged in i-cord. 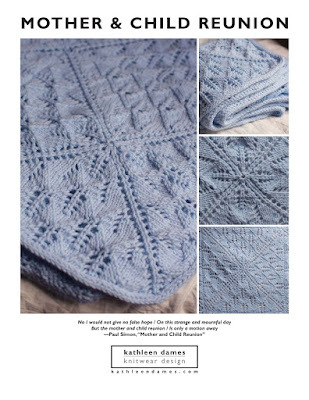 Lace instructions are provided in written and chart form. Pattern available for $6 on Ravelry, Etsy, and Craftsy, or by using the button below.